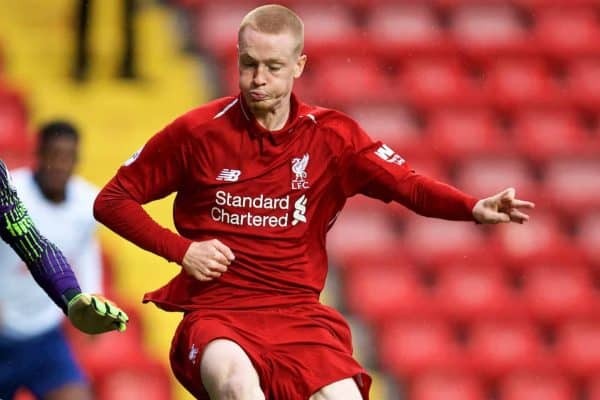 Liverpool U23s beat Swansea U23s 2-0 in the Premier League International Cup on Thursday night, keeping their slim hopes of reaching the quarter-finals alive. Neil Critchley‘s side hosted the Swans at the Academy in Kirkby, as they looked to end a run of four 1-1 draws in a row. Only a win would give Liverpool an opportunity to get through Group E, although their chances of even being one of the strongest second-place sides was unlikely, with a win and a big swing in goal difference required. There were four changes to the side that drew with West Brom in the same competition last weekend. Juanma, Connor Randall, Abdi Sharif and Glen McAuley came in for Adam Lewis, Isaac Christie-Davies, Curtis Jones and Liam Millar. There was another start for Lazar Markovic, though, who could still leave Liverpool before the end of the January transfer window. 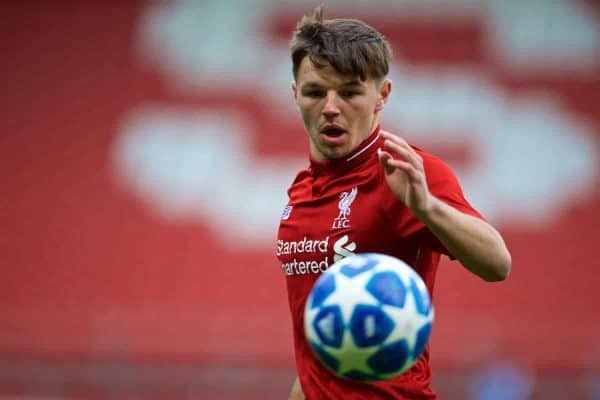 Bobby Duncan was named on the substitutes’ bench, having featured for the U18s in their 4-0 FA Youth Cup win over Accrington Stanley on Monday evening. Lining up in a 3-5-2 formation with Randall and Juanma as wing-backs, the Reds dominated the early minutes. 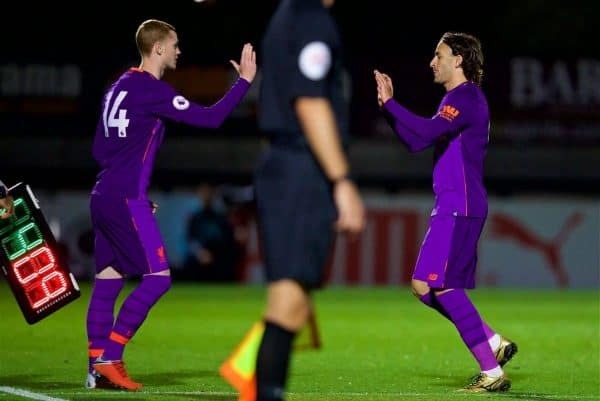 An important George Johnston tackle thwarted a potential Swansea goal, however, while McAuley saw a shot cleared off the line after good work by Markovic. Liverpool went ahead through the Serb in the 16th minute, as he raced through on goal before poking a precise finish into the bottom corner. The game had a nice flow to it, although it wasn’t exactly one littered with gilt-edged opportunities. Corey Whelan did superbly to prevent what looked like a Swansea equaliser, highlighting the visitors’ sporadic threat on the break. Another ball was cleared off the line and Randall and Matty Virtue both fired wide, as Critchley’s team ended the first-half well. Shamal George almost endured an embarrassing moment soon after the break, as his skewed clearance looped in the air and ended up in the net. The offside flag was already up, however. George made a magnificent one-handed save just before the hour mark, though, keeping Liverpool’s faint hopes of International Cup qualification alive. The goalkeeper was forced into action again soon after, tipping Adnan Maric’s long-range strike over the bar. Critchley made his first changes of the night midway through the second-half, bringing Rhys Williams and Christie-Davies on for Whelan and Virtue. McAuley put the game to bed with 13 minutes remaining, heading home after an excellent run and cross from Sharif. It was a deserved win for the Reds, who must wait to see if they end up being one of the strongest runners-up. The remainder of the competition’s matches are played next week and only the two best runners-up will progress with the six group winners into the knock-out phase. 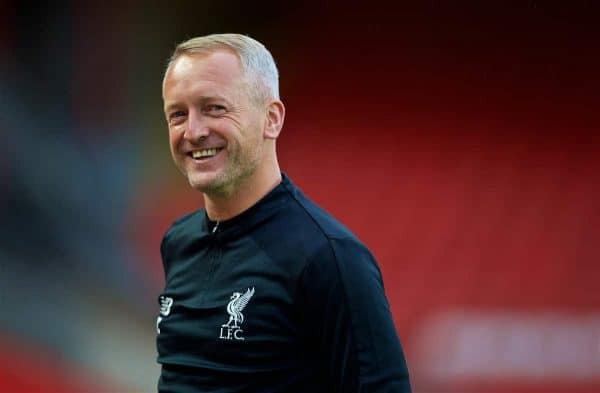 Liverpool U23s: George, Whelan (R.Williams 66′), Masterson, Johnston, Juanma, Randall, Chirivella, Virtue (Christie-Davies 66′), Sharif, Markovic (Duncan 78′), McAuley. Subs not used: McKenzie-Lyle, Coyle.